I am a graduate in advertising and also in technology in digital games, with specialization (postgraduate) in game design. I am looking for entry into the gaming market with the goal of collaborating with solutions and executions of games development projects, while at the same time acquiring knowledge. I bring the study in the area of game design in the last 4 years and the previous experience of the field of communication and marketing as a perspective for the construction of games focused on the design of new experiences. – Create, prototype and validate game concepts quickly, in search of new experiences, with a free process or from briefings. – To architect the bridge of communication of information between game, players and market. – Elaborate proposals and content for different game genres and platforms, with rapid adaptation to changes, whether for entertainment games, serious games or advergames. – Formulate creative solutions through game systems, mechanics, interfaces, narratives and functionalities, focusing on fun, perception, balancing and ethical monetization. – Plan and execute quality and gameplay tests, internal and external. – To encourage team projects with fast iteration principles. – Document the design processes and strategic thinking of the game as a product based on principles of marketing and game design. – Implement gameplay and logic in different engines and languages. – Propose aesthetic solutions that contribute to the whole perception of MDA. Creation, prototyping and validation of game concepts. Design of game systems, logic, mechanics, flow, interfaces, control and interaction. Documentation and business plan. Narrative writing, high concept, gameplay loop. Planning, execution and analysis of playtest. Study and analysis of games. Design content and research to production. Implementation of gameplay in the Unity, Unreal Engine, Construct, Game Maker and LÖVE engines. Programming in C#, C++, Lua languages. Refactoring and clean code. Programming student since 2002. 2D Art with focus on Pixel Art. 3D modeling with focus on low poly style in Blender and 3ds Max. Stylized digital sculpture in ZBrush and retopology of models. Projection texturing and texturing through Quixel, Substance Painter, Substance Designer and Bitmap2Material. Concept of environments and digital painting in Photoshop. Basic knowledge of 3D and 2D animation. Music composition for games with focus on chip sound in FL Studio and Logic Pro X. Planning and execution in communication projects, marketing plans and product creation. Focus on digital marketing, content production for social media and blogs, market research, creative direction and design of visual identities. Corel Draw. Coordination of marketing in more than 20 events (local to worldwide) and 20 sub-events, art direction in campaigns, planning and logistic execution. Participant Experience Design. Attendance and organization of teams. In addition to the development of event management software. Production of content before, during and after events. Coordination of layout projects in more than 40 books and magazines, as well as graphic management and visual projects creation for scientific and institutional communication. Agency partner for almost 8 years. With the creation of own products, validation of startup mvps and service to companies and institutions. – Independent game development project. – Academic startup of independent game development in Curitiba – PR. 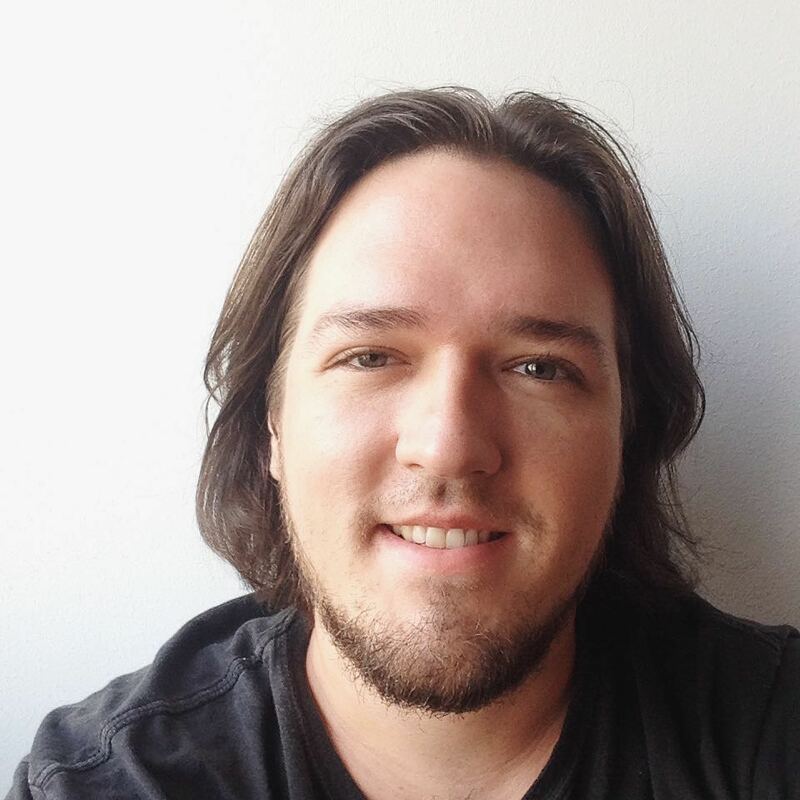 Team Tun is currently in solo development (design, programming, art and music). It is a “turn platform game” where the player must control the advance of 2 (or more) characters, but only for a few seconds each. As the characters alternate in turns, it is up to the player to balance the boldness with safety in the time remaining in each turn. 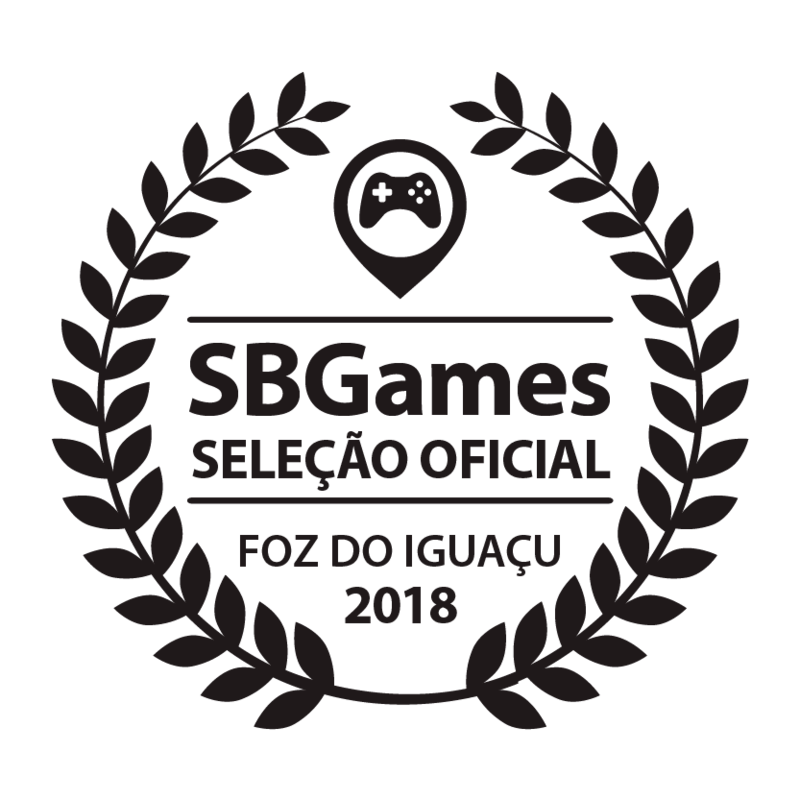 – Official Selection of the SBGames 2018 Games Festival, in the Professional category. – Development of the entire project, except sound effects. Card Trip is an analog game that mixes deck-building elements with set collection, about the experience of making a road trip! The game seeks to create different experiences by making the players adapt to the individual characteristics in each game. And, the game is ready for an extended testing phase. For a casual audience, 2-4 players and estimated matches between 20-40 minutes. – Development of the entire project. quad is a casual game of minimalistic puzzles in which you need to find the right move according to the movement patterns. Challenge your spatial perception and find the best ways to end up in the right place! With more than 50 puzzles at launch. An experience that mix elements of arcades with a semi-roguelike in a casual game. Test your control and your daring to get the best results on an infinite adventure through the tini lands. Stay alive for longer, completing quests in small randomly generated maps, for a unique experience every time you venture into this little world. V is a minimalist puzzle about the choices you’ll need to make to find the best path. With handmade and other random phases. Minimalist and casual strategy. Available in the Play Store and part of XP Project. The Stories of Caelum is an immersive narrative action-adventure game with puzzles and challenges of reasoning, perception and skill where the player controls Tob, knowing the stories that are alive within the library of Caelum. The demonstration version of this project was developed and distributed as the conclusion work of the Technology in Digital Games course. A game for Windows desktops, by Renata Silvério and Christhian Gruhn, students from Curitiba, Brazil. Naturez4 is the prototype of a digital educational game of turn-based strategy using cards, designed to protect a forest for the most amount of time. The game seeks to create a sense of impotence in the player, raising individualized questions about environmental issues. Developed in 72 hours as the final work of the 11.127x: Design and Development of Games for Learning (MITx/edX). Qorxu is an experimental prototype of a high difficulty shooter presented as an academic work by BeLudic. In this game the player must survive while defeating enemies and discover secrets about his ancestor. An early-stage desktop prototype (PC) that has no public distribution. Game developed by Jordy Adan, Renata Silvério, Christhian Gruhn and Cássio Vinicius, students from Curitiba, Brazil. In Sórtia, the player assumes the role of a character that aims to unravel the solution of challenges by developing his skills of control and deduction, while discovering a little more of the story of this fantasy universe in which he has just woken up. The winning condition of the game is in its advance until it reaches the last level. A game for Windows and Mac, by Jordy Adan, Renata Silvério, Christhian Gruhn and Cássio Vinicius, students from Curitiba, Brazil. A casual-educational 3D game for desktop (pc and mac) and web game, submitted to the 4th Sebrae Entrepreneurship Development Contest, where the player needs to use his entrepreneurial vision to manage the activities of a small popsicle vendor. Game developed by Jordy Adan, Renata Silvério, Christhian Gruhn and Cassio Vinicius, students from Curitiba, Brazil. Challenge yourself to overcome the pitfalls of every level of sleep for many, many times! A mobile game of 2D platforms, which focuses on a dynamic loop of increasing difficulty on each level. Game developed by Jordy Adan, Renata Silvério, Christhian Gruhn and Cassio Vinicius, students from Curitiba, Brazil. An experience of a board game with matches between 3 and 15 minutes and thus classified as filler, for 2, 3 or 4 players, and various levels of difficulty. In this game, the player will count on luck, probability, spatial perception and the planning of possibilities to maximize their score, removing random pieces of 1 of the 3 colors to build the best strategic distribution on your map. Prototype developed by Jordy Adan and Christhian Gruhn, in Curitiba, Brazil. A mobile, multiplayer, idle-battle game developed with a focus on Shinobi Spirit (academic client) participants. The game was presented as an academic demonstration for the client, one of the games chosen by the client and was only available for testing during the Shinobi Spirit on October 10 and 11, 2015. It was developed by Jordy Adan, Renata Silvério, Christhian Gruhn and Cassio Vinicius. Tiny Space Traveler is a mobile roguelike game, available in the App Store and the Play Store, which is being developed by Jordy Adan, Christhian Gruhn and Cassio Vinicius. Mario and the Poetry is a little game, with a “slow” proposal, where the only weapon is poetry to bring happiness while looking for his beloved. To play, think, and enjoy a moment slowly. Created in 48 hours, for the Ludum Dare # 32 has a system of random generation of poetry in English and Portuguese. Deadly Traps is a mobile platform game, available on the App Store and Play Store, developed by Jordy Adan with Christhian Gruhn, Cassio Vinicius, Matt Hoshikawa and music by William Clos. Creation of Biblioteca.cc, open source project of free application for fast computerization of searches in school, institutional or personal libraries. Currently the system is distributed in GitHub. MVP of a real-time marketing service through a mobile web satisfaction survey service. Digital poetic experience, which allows the collaborative punctuation of poetry and looks on the streets, neighborhoods and people of Foz do Iguaçu. Independent project that aimed to be a source of interaction for “gremistas” (fans of the soccer team Grêmio FBPA), with 8 thousand registrations, and the indexation of more than 50 thousand news links related to the club. In 2008 the site was Top 5 of the iBest Award, in the category “state of Rio Grande do Sul”, at the time the main award of sites in Brazil. And in 2009, he officially participated, along with other sites, in launching the “Gremist Army” of the club’s marketing department. The project was closed in 2014. The news indexed by the site received more than 1.4 million views. Created and maintained since 2008, the VisiteFoz website offers content for tourists, focused on the information experience. By the middle of 2017, the site received about 5 million pageviews. The mobile application VisiteFoz was developed in 2012, and a new version was launched in 2014, as an alternative in communication and tourism thinking in Foz do Iguaçu. It offers tourist information to potential tourists, and creates a number of business opportunities for the industry. Until the middle of 2017, the app was installed more than 10,000 times. [PT only] Independent publication (2018). Monografia ESPM (2011). Advisor: Prof.ª Fabrizzia Cinel.